With the Easy Popup Creator you can drive targeted traffic to your websites by creating professional popups on other peoples pages. The Easy Popup Creator lets you can capture leads and/or sales from links you post on social media sites and basically anywhere on the web. If you are wondering how to drive more free targeted traffic to your website, the Easy Popup Creator might be a great option! No matter if you are already active on Facebook, Twitter, etc. or not. Why not capture leads and/or sales from the links you are sharing (from other people) on facebook, twitter, etc? Why would you post a link from someone else if you don’t have the chance to capture a lead or sale from that traffic? Some might argue, to built “brand awareness” and/or “authority”. But what if you could capture leads and/or sales at the same time and without much more work? Easy, with the Easy Popup Creator! That is, if you are not posting 300+ links a day. If you share a manageable amount of links from other people throughout the day, the time it takes you to create a pop up with the Easy Popup Creator, is well worth it. 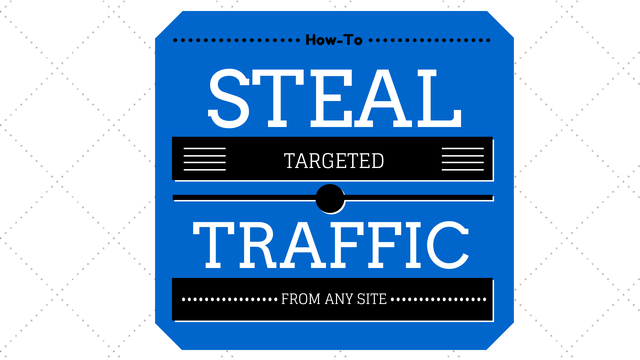 As you will receive free traffic which will be laser targeted in exchange. This is awesome as we all know it’s unethical to post links to products on other peoples fan pages. In general they will even delete the posts. But page owners love it when you post links on their fan page that lead to a educational, funny or inspirational blog posts. With the Easy Popup Creator you can now add a popup to those pages. Now that’s slick! So when you are sending somebody to someone else’s page, a popup with YOUR offer will show up! For each URL you want to share you can choose what kind of popup you’d like to use. Whether it’s a welcome popup, a timed popup or even a exit-popup. The web based drag and drop editor makes it easy to customize style and layout of the popups. The Easy Popup Creator comes with a WordPress plugin which allows you to use your own domain to create the new URL (where the page with the pop-up will appear). To use it on unlimited wordpress installations they charge a monthly fee. 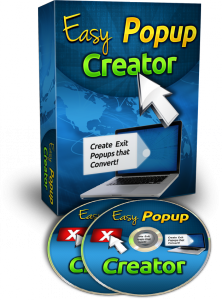 But check out the easy popup creator review video above to see the tool in action! Create welcome- or exit-popup ads on ANY web site! Including your competitions websites! Professional popups within 3 minutes. NEW: Now Supporting sites with a frame buster. ie Facebook, Youtube, Twitter, etc. Currently it’s available for only $37! Where can I place my easy popup creator links? One of the best places you can add your link is as you saw in the video above, probably on Facebook fan pages and groups. Of course placing the links on your personal page can, depending on how large your social reach is, have a great impact as well. The trick is to get your social on: jump into conversations and place your easy popup creator link to a related funny, educational or inspirational posts. If you have a great social reach on one or multiple other social media sites, place your link there and analyze your results. Compare them to other sources. BuzzBundle lets you enter a group of keywords and finds conversations on forums, blogs, Q&A-, social media- and video-sites for you to jump into. This tool makes it easy to find people that are interested in your product, right now! BuzzBundle automatically creates accounts on sites that require a registration prior to commenting. BuzzBundle also automatically confirms the email for you, so you can focus completely on commenting and placing your links. 😉 They have a free version. I highly recommend it! No alternative I know of does what Easy Popup Creator does. If you know of one please leave let me know and leave a link in the comments. If you are looking for a great tool to manage pop-ups on your own wordpress site be sure to check out the Ninja Popups for WordPress. By far not as slick as the Easy Popup Creator or Ninja Popups for WordPress but to get started with pop-up it definitely worth checking out if you are just getting started with Pop-ups. 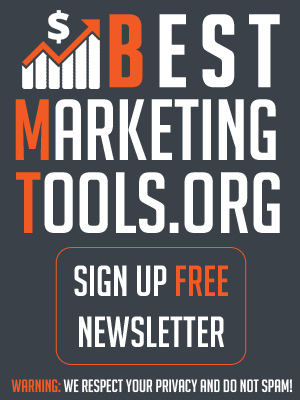 This free tool that you can use to create pop-ups on you own sites (NOT on others!) . Choose whether you want the pop up to be triggered at page enter, exit, link or mouse over. Many window properties can be selected such as whether address bars, tool bars, status bars and more are used. Update: Now Supporting sites with a frame buster. ie Facebook, Youtube, Twitter, etc. Summary : Great product to drive traffic from other peoples websites! Next: 12 Time-Saving Tools For Freelancers To Boost Productivity! Thanks mate. best easy pop up review i found. 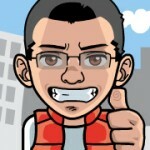 Any who have CPX24.COM (June popunder traffic) coupon code ? ?